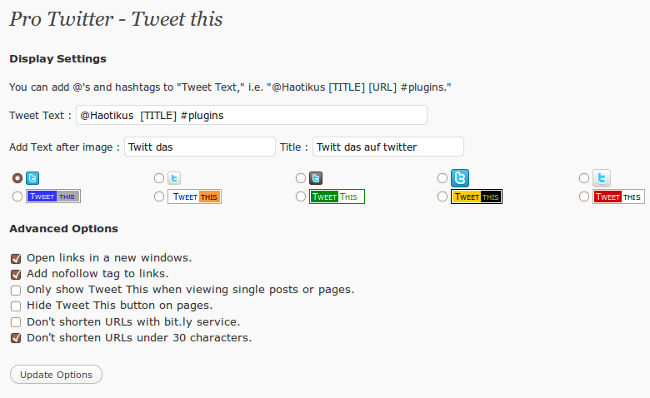 We improve our plugin functionality and pun more attractive design intro twitter counter module. Also we change the mode of shorten url, now we use v3 api of bit.ly. Soon we will add another modules to Pro Twitter. If you have some suggestions please write it in comments arrea. 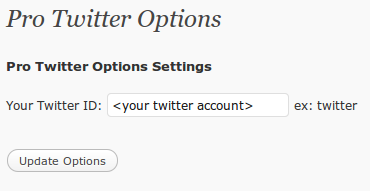 Also feel free to contact us anytime if you don’t know how to manage or put your settings in the plugin options. You can download the last version from wordpress page. 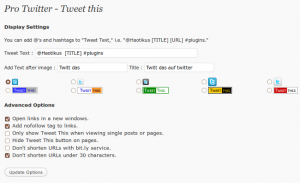 This entry was posted in Plugins and tagged tweet this, twitter, twitter counter by Dragos Schiopu. Bookmark the permalink.